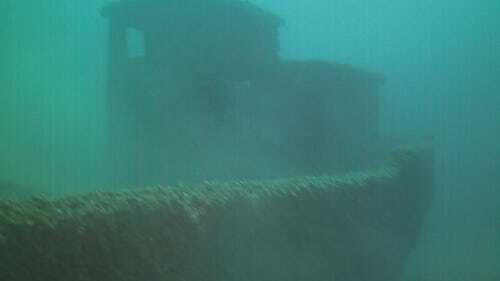 Muskegon treasure hunters find undiscovered shipwreck in Lake Michigan. Could the lost Confederate gold treasure that was stolen after the Civil War be buried somewhere in northern Lake Michigan? Two Muskegon treasure hunters strongly believe it is. FRANKFORT, Mich. (WZZM) – Could the lost Confederate gold treasure that was stolen after the Civil War be buried somewhere in northern Lake Michigan? Two Muskegon treasure hunters strongly believe it is. This year's quest to find the gold has begun for Kevin Dykstra and Frederick J. Monroe. They believe they may have already found a significant piece to the puzzle, which would put them a step closer to proving their theory true. 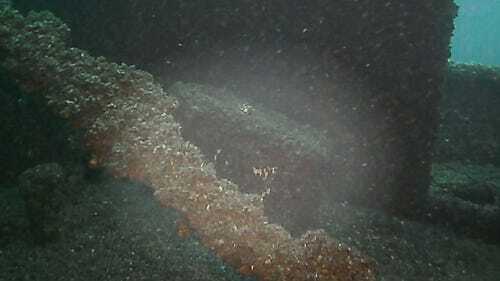 Dykstra and Monroe made worldwide news in December 2014 when they went public with their claim of finding the holy grail of all Great Lakes shipwrecks – Le Griffon. They say they actually found that shipwreck in 2011, but chose not to go public because they wanted to research and consult with maritime experts first. When they decided to go public last December, the duo admitted they weren't searching for lost vessels at the time of making their Griffon claim. Instead, they say they were looking for gold treasure. Thanks to a deathbed confession that's nearly a century old, and four years of intense research done by Dykstra, both explorers believe they're on the brink of a breakthrough. The breakthrough they were looking for may have happened by accident in April, 2015, and WZZM was on the boat with the treasure hunters when they dove on their discovery for the first time. "Sometimes it's not about what you're looking for, it's what you find while you're looking," said Dykstra, who has been treasure hunting alongside Frederick Monroe for the past several years. The pair began scanning Lake Michigan off the coast of Frankfort as soon as the ice melted, looking for the box car, they claim, has over 2 million dollars of gold bullion resting inside of it. "Forty years of waiting," said Monroe, referring to how long it's been since he first heard about the possibility of gold treasure in the lake. "I'm sure this season we'll find it." "I was sitting down and talking to a friend of mine, and all of the sudden he says, 'Fred, you're just the person I want to see with your diving experience," said Monroe. "My grandfather told me a story that he heard from a lighthouse keeper, who originally heard it during a deathbed confession, that there's 2 million dollars of gold bullion inside a box car that fell off a ferry into Lake Michigan." 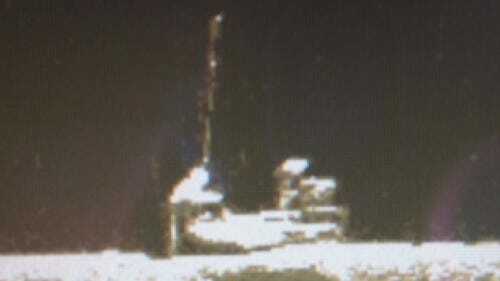 Curiosity triggered an immediate investigation of what this large object could be. The water temperature was a frigid 37 degrees, but Kevin Dykstra and his brother, Albert, threw on their dive gear and prepared to descend to the deep. "I was actually hovering over the bow of the ship, and when I looked down, I could see the windless very clear," said Dykstra, recalling his initial investigation of the shipwreck. "Just back from the winch, I came across the mast which was sticking straight up." "To the left of the hatch cover was a very pronounced anchor," Dykstra said, while smiling, knowing that since the anchor was still attached to this ship, he was likely exploring a previously undiscovered wreck. "I moved back towards the back of the ship when I came across the pilot house, which was still perfectly intact," said Dykstra. "The steering wheel was still in place." As Dykstra peeked into the pilot house, he says he could see the mechanical parts of the ship, including the engine, but then something even more interesting caught his eye. "As I looked to the back of the cabin, there was a rear door to the cabin," said Dykstra. "Just to the left of the rear door was a safe." It was completely covered in zebra muscles, and no doubt holding a mystery within. "To find a boat with a cabin intact, with a safe, while we're looking for the box car, the odds just seem too far that it must be related," said Dykstra. Monroe says he, too, was excited, because all of the sudden, he believed the story he was told in 1972 was starting to unfold. "It just makes everything come together," said Monroe. "A 40 year wait of is it true [or isn't it true]." But the four-decade-long wait will continue unless the state of Michigan decides it wants to get involved. "We've got to find out what's in the safe," added Monroe. "Once I realized there was a safe, I called the state archaeologist and let him know," said Dykstra. The state can decided if it wants to send somebody out to the wreck site to excavate the safe, it can issue Dykstra and Monroe a permit to retrieve the safe themselves, or it can decide that nothing is to be done, meaning the safe, and its contents would remain a mystery. "If that safe is opened, and there's gold, silver and jewels inside, to us, it really puts the box cars a lot closer," Dykstra said. Dykstra and Monroe say that given the size, type and location of the sunken vessel, they feel they know the identity of the wreck, though they say they want to do more research to be 100% sure. 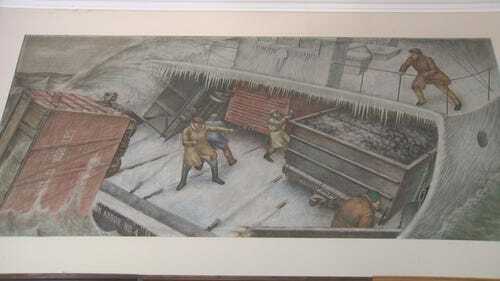 Dykstra says if the ship is the one they believe it to be, it was ironically owned by a prominent jeweler. WZZM contacted Michigan's state archaeologist, Dean Anderson about the Muskegon duo's find, specifically the safe, but he elected to offer no comment about whether the state plans to investigate the wreck or excavate the safe. That means, for now, the contents of that safe will remain a mystery. Editor's note: Two maritime experts contacted WZZM 13 claiming the shipwreck Kevin Dykstra and Frederick J. Monroe found is actually the "Jane," which was a tugboat that sank in 1927. 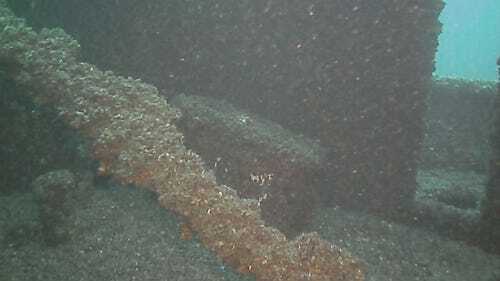 Valerie van Heest, a local shipwreck author, historian, and co-founder of the Michigan Shipwreck Research associates, and Wayne Lusardi, who is the State of Michigan's Maritime archaeologist, say the "Jane" was actually discovered by cable layers over a decade ago. An archaeological dive team then documented the shipwreck. Below is a YouTube link to the online documentary of the discovery of the "Jane."